Spain with 24% unemplyment now is a 3rd world country and it’s league is run like one. Morons run Spain and Liga. I doubt Spain will win the WC2014 or CL in 2013.
never signed the TV Deal. Whether or not Spain win the WC in 2014 or a La Liga club wins the CL in 2013 is almost entirely unrelated to the TV deal. The only Spanish sides who are going to win the CL in 2013 are the big two and they make the most money from the present set up and are amongst the highest earners in Europe. They also supply the bulk of the national squad too. There are problems with how RFEF operate and major issues with how La Liga is promoted in comparison to how the Premiership is marketed but these issues will not be resolved overnight and as I state, a revised TV deal is not a panacea. With regard to Villarreal, their playing budget is being reduced between 20-30M euros this season. Roig sold some shares to release capital for investment in the club to sustain it in the Segunda. The club was already in the process of restructuring with a greater reliance upon la cantera and this will not be accelerated. Roig’s main business enjoyed a successful 2011 but this came on the back of some disappointing performances in the preceding years which in part led to the change in how Villarreal was being run. Again Villarreal never signed the TV deal and vill not get much money.. Yes, Villarreal have sold players with others likely to follow and that is my point. The drop to the Segunda is massive in financial terms. Villarreal have made huge cuts along with Roig selling shares to reinvest the money into the club to provide financial stability this season. I told you I would check up on the parachute payment. When I have an answer, I will post it here and amend the article if necessary. Finally, of course the tv deal helps the big two and you suggesting otherwise is nonsense. You are correct about Villarreal not receiving a parachute payment. 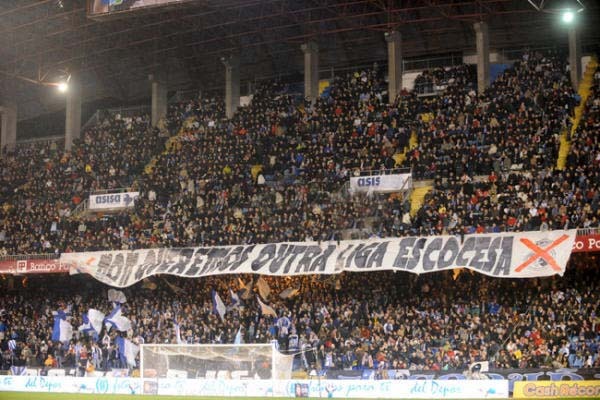 Depor receioved 7M Euros but the submarine opted out of any such agreement. I will update that section of the article shortly.